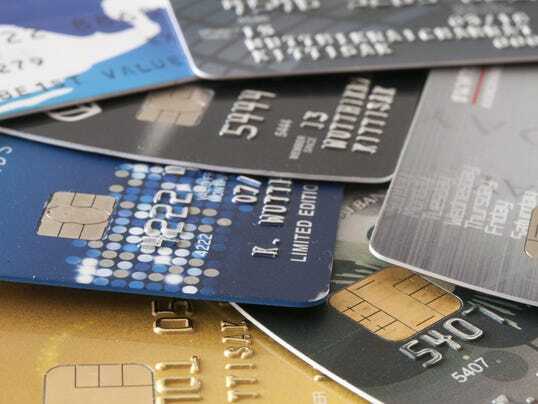 Credit cards offered by retailers come saddled with an average APR of 23.23%, according to a CreditCards.com report. You’re checking out at a store, and the cashier says, “You could save 15% today if you sign up for our credit card.” What do you do? “Say no, thanks,” says CreditCards.com senior industry analyst Matt Schulz. Credit cards offered by retailers come saddled with an average APR of 23.23%, according to a CreditCards.com report out today. That’s more than twice the national average of low-interest-rate cards, 10.37%. And it’s 8 percentage points higher than the national average for all credit cards, 15.03%. CreditCards.com surveyed 36 retailers from the National Retail Federation’s Top 100 Retailers of 2014, and the retail card with the highest rate was jeweler Zales, at 28.99%, followed by Staples and Office Depot, at 27.99%. Interest rates are something people rushing through a checkout counter might not stop to consider, but they should. He recommends that shoppers take a brochure about the credit card home to look over before making any commitments. In the meantime, they should shop around to get the best card for their needs. Don’t be swayed by that 15%-off offer: Higher rates can far outweigh the one-time deal for anyone who carries a balance, which is about 40% of American households, according to the Fed’s Survey of Consumer Finances. For example, someone with a $1,000 balance on the average retail credit card who makes the minimum payments would rack up $840 in interest fees before paying it off. The same person with an average low-rate card would pay only $232 in interest. “The key, as with any credit card, is to pay it off each month, so that interest rate is moot,” Schulz says. For those who pay off balances in full, retail cards with reward programs can make sense. The programs are on the rise. Of the retailers surveyed, about two-thirds offer introductory financing rates, instant rewards or both. Nordstrom is one such retailer with a tiered rewards program. It offers $20 “Nordstrom Notes” to use at its stores, early access to sales, free alterations and special events, based on a cardholder’s purchases.